From the dismal darkness of some obscure, long forgotten chasm in the depths of the earth came Diseased Oblivion in 2009. With them the duo brought ominous duo brought several incantations of enigmatic, arcane droning metal in the forms of black- and funeral doom metal. The sixth incarnation of Diseased Oblivion's music is found on the 4-track demo from 2012 entitled "Portals of Past and Present", which features songs from the very initiation of Diseased Oblivion in 2009 to some of their newer material from 2011. The four tracks on Portals of Past and Present feature everything you could expect from a band of this type: Winter-like funeral soundscapes, eerie black abysses and abstruse ambience from the vastness of space. By pairing highly distorted guitars with profoundly cryptic noises the band achieve the bizarre atmospheres that their songtitles such as "Ghosts of Nuclear Winter" and "Blackhole Funeral III" paved the way for in the mind of listeners, and throughout the retrospective experience of Portals of Past and Present does indeed see an interesting evolution in the band's sound. As we progress back in time through the increasingly eerie, murky waters that are the sounds of Diseased Oblivion, the imposing blackened doom tracks grow ever more filthy, tenebrous and oddly threatening from the newest track "Unquenchable Hurt" through Blackhole Funeral III and Ghosts of Nuclear Winter and ultimately coming to a grinding, funeral-like halt with the death/doom-ish Reclusa Eternus, which is also the oldest song on the demo. I recon that Diseased Oblivion are succesful in creating effectively mind-invading black-laden doom metal. The demo gives a fulfilling look into the still short career of the american duo and their compelling but very traditional take on the genre, but through competent songwriting (if their is such a thing in funeral doom metal) they manage to keep their music, all 3 years of it, convincingly decent to make it worth listening to. 7/10 guitars. With a name like "Prajna" I really had no idea what to expect. This Colombian band is in essence an effort with tendencies toward a lot of different styles, most notably of which are 80's heavy metal paired with power and speed metal in the vein of Helloween, Fates Warning and at times even some early Anthrax. Let me just say that I was rather sceptical at first. The logo and coverart didn't look particularly inviting and it looks like it was sort of made in a hurry, making me think that maybe the music would be of equally bad quality. In general it goes for the entire demo EP that the music, though presented with gusto on the band's behalf, is somewhat lacking in quality. 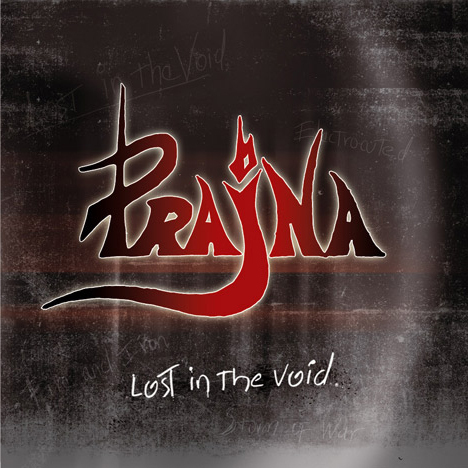 I can see what Prajna are trying to accomplish with their music, but ultimately I found that Lost in the Void wasn't exactly up to par with other bands in the genre. I suppose that the fact that this is Prajna's first release should turn down expectations, and I could definitely see how Prajna could improve upon their chosen style in upcoming material to make it a worthy contender in the world of metal. The most attractive things about Prajna are their simple but enjoyableriffs aswell as good choruses like the one in Electrocuted, but mostly every experience on the EP is numbed by the tame production and lack of aggression. And I know a lot of people will disagree with me on this because "power metal isn't about aggression!" and "you don't have to be evil to be metal!" but yes, it kinda is and you kinda do. Without that certain edge to underline the music all hopes of attaining some sort of climactic power in the music are useless and in the same manner I could've wished for a bit more daring or raw elements. Many will probably write it off as the ramblings of an old fashioned death metal fanatic, but I actually like quite a lot of power metal bands, but even bands like Rhapsody or Kamelot have a certain edge that carries their musical quality. Prajna have a very destinct and recognizable style to their music, which really gives the EP the saturation it needs to stand out from others of its kind. If Prajna could somehow sharpen their music it would, to me atleast, have a more lasting appeal than it currently does. 6/10 guitars. Let me first introduce the band: Sewercide is a 4-piece thrash band from Melbourne, Australia. Their genesis was in 2011 and by now in 2012 they've already seen two releases, the demo Severe Trauma and a split with Randomorder called States of Decay. While the two releases combined boast only 3 tracks of a total of 10:30 minutes the 7 minutes of early death-infused thrash metal that make up the Severe Trauma demo from March are like a hail of machinegun fire on the eardrums in the best way possible. Sewercide have obviously been listening to Max Cavalera-era Sepultura. I detect huge amounts of Schizophrenia through Chaos A.D. worship on this demo that infuses the fast, aggressive thrash metal with the heavy, distorted musical psychosis that is death metal. The 4-piece utilize a very dynamic sound to fuel the bonfire that is their chosen style. Just like Sepultura. And this brings me on to my main point: Why listen to a Sepultura clone, when you could just listen to the actual Sepultura? Even if they're a very enthusiastic copy with huge amounts of talent, is there any point in listening to Sewercide rather than putting on Beneath the Remains? Let me answer that question in a very short manner: Yes. The Australian conspirators may sound a lot like Sepultura, but even so their music is hugely enjoyable and played with such force and ferocity that it WILL be an enjoying experience. Now with all these positive remarks I end my review with some small downsides. Unlike timeless classics like Slayer's Chemical Warfare, Sepultura's Territory, Kreator's Pleasure to Kill or Slaughter's Incinerator - Tracks that would all fit the style of Sewercide - this band's music sort-of lacks something to really get me hooked, like a memorable riff, catchy chorus or hellish drumroll. I also haven't adressed my dislike for overly short demos. I can easily understand why a newly created band wants it's music unleashed upon the innocent crowd as soon as possible, but I would've like this demo was a bit lengthier. On the other hand, it is easily within the first couple of years of a band's creation that most bands release their most vigorous, brutal and uncompromising material and I can see why it would definitely be benefitial to have a slew of highly destructive tracks out there. In closing Severe Trauma is a very short, but mighty effective demo. Sewercide have convinced me in relative short time that their potential is undeniable, and if they continue releasing material at a rapid pace I will be a more than happy reviewer. 8/10 guitars. Also check out their online store! If you don't believe me (and even if you do) their tracks are freely available on Bandcamp and Last.FM! I just updated the download section. Unfortunately it isn't updated with new links, but rather the removal of old links that no longer work. It really is rather depressing to see the list dwindle in such a manner, but what can you do. Like drugs doom metal require a certain setting and mindset to be most effectful in terms of musical enjoyment. Doom metal and all its subgenres to me are some of the most atmosphere-creating subgenres of metal and so the things that the music brings to life in my mind are very important when I listen to it. 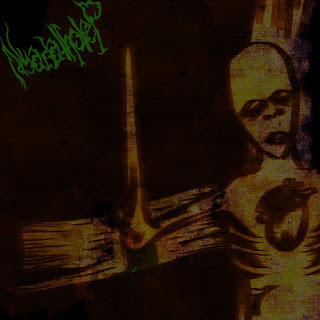 I found that the American black/doom metal band Nyarlathotep, while their name isn't exactly the most original, brought to life visions of dusty, desolate and dystopic wastes thick with the scent of impending doom and coming apocalypse. Black/doom metal and funeral doom metal isn't well known for huge attention to detail or variation, so it may seem a bit nit-pickey to say that I found "The End is Always Near" to be a bit uneventful and unoriginal. A pitfall that many bands in this genre fail to avoid is the tendency to more or less sleepwalk through songs, and my first impression with Nyarlathotep was that they were such a band, but upon further listening I found their music to actually be pretty fascinating and enthralling. Never judge a book by its cover, I suppose. I had prepared myself to write that Nyarlathotep's music didn't have a very good atmosphere compared to how much the genres relies on just that, but the gritty, fuzz-driven cacophony that make up the bulk of their EP has a certain claustrophobic effect rather befitting of the lovecraftian name. The droning instrumentation and void-like vocals really come together and form the very sound of the apocalypse. I was originally content on giving Nyarlathotep's EP a 6/10 guitars, but I have actually grown to enjoy the sublime slices of dementia that make up The End is Always Near to such an extent that I have decided to give the EP 7/10 guitars. Metal has come a long way since the beginning. Though having most of its' direct roots in the late 60's it wasn't until the early 80's that the various branches of extreme metal began to take shape, and countless modern day bands seek back to these extreme metal roots of Hellhammer, Venom and others like them in an attempt to copy or just take inspiration from them. Tormentstorm from Oklahoma, USA, is a one man effort aimed at taking part in the enormous 80's revival of more recent years with his hitherto only demo "Up from the Grave". Whether Up from the Grave is a reference to the blatant 80's revivalism or because the music on the demo sounds like it's being played by a rotting corpse I don't know, but one thing is for certain. Tormentstorm is a prime example of why most one man bands shouldn't be ONE man bands. Up from the Grave simply lacks varied input, and when every song just sounds the same to the extent that this demo does it becomes incredibly tedious to listen to. At times I wondered if Malice, the ruling power behind Tormentstorm, was just improvising or if it was in fact organized. There are times when the music sounds a bit out of rhythm and on Screams of Torment I was wondering if the bass was even in tune. With the aesthetics of a chaotic 80's metal band I feel that the 5 songs on Up from the Grave would be better suited with a production that doesn't reek of bedroom, and even better if it was played more energetically and at a higher tempo than the doldrum speeds that Malice put forth on the demo. It simply lacks the epic riffs, revolutionizing ideas and brilliant atmosphere of the bands that he takes inspiration from. I normally don't mind low sound quality in music, as long as it's not paired with untight playing and boring songwriting. However Tormentstorm truely is a storm of aural torment, and I find it very hard to enjoy or even listen to. I hope Malice's future works are more thoroughly worked through. 2/10 guitars. At least the drums seem real enough. Defilementory is a band that I knew a bit in advance. I had seen them a couple of years ago when they and another Danish death metal band called Castrensis opened for the one-man slam act Putrid Pile in Copenhagen. That particular performance was a night to remember - All the bands fit so well together and were so talented and put on a great performance. It wasn't until I listened to Infatuation with Deformity that I realized that Defilementory has a very precise way of conveying the delicate details of their music, though it seems weird to talk about delicate anything in terms of brutal death metal. It just so happens that Defilementory has a lot of technical elements and a bass section to die for, which is something I can really appreciate. Sure, great guitarists are always cool, but everyone has great guitarists these days. Good bassists are severely underappreciated, and the bassist of Defilementory, who also happens to be their lead singer, does an incredible job creating bass lines that are imperative to the recognizable sound of Defilementory. I give the bass of Defilementory a lot of credit (and rightfully so), but even if you were to remove it and put in some "regular" basslines the music on Infatuation with Deformity has a lot of merrit in itself. Lots of brutal death metal acts are incredibly one-tracked and even monotonous, but this Danish band mix things up constantly while still maintaining their brutal death metal flavour. 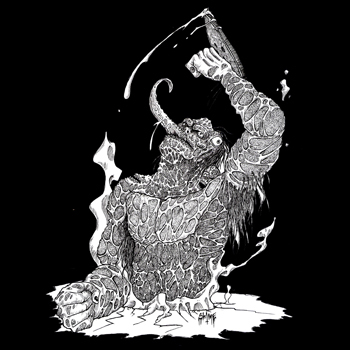 The malign clarity and gritty brutality of the two tracks that make up this demo is something that makes Defilementory seem like a band very serious about their music, and the demo showcases their vigorous enthusiasm in creating and playing some of Denmark's heaviest music. If there is one thing that really stands out as a bit regrettable on the demo it's that fact that it's so short. Two tracks really isn't enough to stay entertained for very long, and even though the two tracks are pretty long for death metal it doesn't go a very long way. I read somewhere that there was supposed to be a third track, but that it was lost somehow, and this is really a terrible shame. I would've loved to hear that third track, but hopefully that song will be featured on their upcoming album. To sum up Defilementory's second release "Infatuation with Deformity" from 2011 really would be nothing other than "great and pretty unique brutal death metal with a noticable flavour of technical aspects". Their bass-driven style makes for a lot of enjoyable listening minutes on my part, but in the end two tracks of this great music isn't enough to keep me satisfied and will mostly serve as a little something to listen to between other albums. Their upcoming album will hopefully feature everything that makes Defilementory's demo great, and then some. 8/10 guitars.